As the snow falls outside my office window, it’s hard to believe that 24 hours ago I was playing golf – not in Florida or Scottsdale or North Carolina, but in Philadelphia. South Jersey, actually, since the course I played was RiverWinds GC in West Deptford, with its string of scenic holes running along the banks of the Delaware River. To me, yesterday’s round was "bonus golf." When you live this far north, any round of golf after Thanksgiving qualifies as bonus golf, as far as I’m concerned. Like most years, I haven’t officially lugged my clubs down to the basement for the long winter’s rest. But I have taken them out of the trunk and leaned them against the wall at the top of the steps to the basement. That’s where they were Sunday when I got all from Ed Shearon, who designed RiverWinds, Raven’s Claw and The Vineyard at the Shore. Monday was going to be a nice day, with the high hitting 50 degrees, and he knew (a) I’m a sucker for a last-minute round and (b) I have a flexible schedule. Ed also wanted me to see how much conditions have improved at RiverWinds. 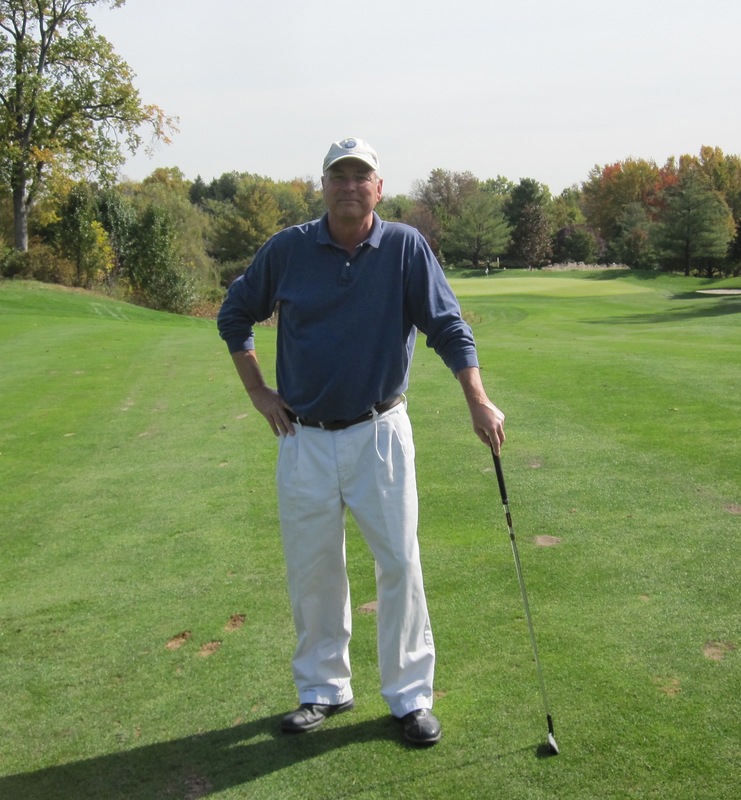 He was right – RiverWinds is vastly improved since Ron Jaworski bought the course. The fairways were lush and green and the greens showed none of the splotches and ball mark nicks I remembered from my last visit. I’ve got my heart set on at least three or four more bonus rounds in December, before winter fully sets in. I don’t care how goofy I look – two, three four layers , a knitted cap, hand warmers – so long as I can get the club around. The best part about bonus rounds of golf is you feel like you’re stealing. The chilly air is also invigorating, not to mention the snifter of Jameson whiskey afterward. It’s just good to be outdoors. Several years ago, we had a run of three or four years when it was warm enough to play on New Year’s Eve. I remember because I did. That was the ultimate bonus golf. Steve - No clubhouse yet, although there is a nice dining facility on the other side of the tennis center. That wasn’t there the last time I was there. I didn’t see a range but we got there late. Any word on a new clubhouse and/or driving range at Riverwinds? Was the course soggy or relatively firm? Joe Bausch, Villanova chemistry professor and photographer extraordinaire behind The Bausch Collection of golf course galleries, has been at it again. Recently, we uploaded another 12 more course galleries, bringing to total number of galleries of courses in Pennsylvania, New Jersey, Delaware and Maryland to 153 by my count. The man gets around, what can I say. Pennsylvania: Green Pond CC, Macoby Run GC, Phoenixville CC, Spring Hollow GC, Twin Ponds GC, Westover GC and the late Horsham Valley GC. Delaware: Delcastle GC and Garrison Lake GC. Another tip of the visor to Professor Bausch, whose passion to experience new courses and photograph them as he goes is pretty much unrivaled. If you’d like to suggest a course for Joe add to The Bausch Collection, please send me an email. Soon, I’ll have an email set up so you can email Joe directly. 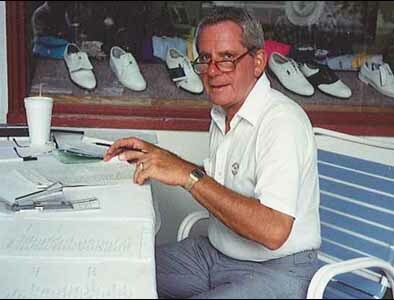 When I got the call a couple of days ago from his daughter-in-law that Jim Sykes had died, I couldn’t help but think back over the 16 years I’d known him. I liked Jim. He was a no BS guy. He’d tell you what he thought, whether you wanted to hear it or not. He and I spent more than a few hours together, hanging around GAP events, walking golf courses, on the phone. He even took me to Pine Valley, where he was a long-time member, a couple of times. What’s not to like about that. Up until the time he moved into a retirement home, Jim and I lived in adjoining suburbs and we’d bump into each other at the shopping center from time to time. Those meetings took on new meaning after he retired as Executive Director of the GAP in 2000. We’d catch up, gossip about GAP and about golf, and he would describe his new life as a retiree. He missed being in the game. That’s because Jim Sykes was the ultimate pro. Years ago, when I was trying to figure out the proper balance for covering the national golf scene (i.e. Tiger, Phil, et al) and the local golf scene (GAP, WGAP, Publinks), I would often seek out fellow my golf writers at other big-city metro papers to ask how they did it. I’d go on for a few minutes about all the GAP did and the time and space that the Inquirer devoted to their events. More often than not, I’d be met with a blank stare from my fellow scribes. They’d shake their head and say, "It’s not really an issue for me because we’ve got nothing like the way you describe GAP." GAP is a very special organization, pretty much in a league of its own among local and regional golf associations. For that, Jim Sykes deserves and enormous amount of credit. That, to me, is his proud legacy. The last time I spoke to Jim was two or three months ago. I was writing a column for the Global Golf Post about the GAP Team Matches and I wanted to mention the one year GAP was forced to cancel the Team Matches because of the late snow, 1994. I figured he would remember everything. I reached him in his retirement village in Audubon, where he and Sue had moved not too long before. He complained a little about his health, but his mood was good and his mind was sharp. Sure enough, Jim had instant recall of every detail I needed. I wasn’t surprised. I also wasn’t surprised when we gossiped for another 20 minutes. 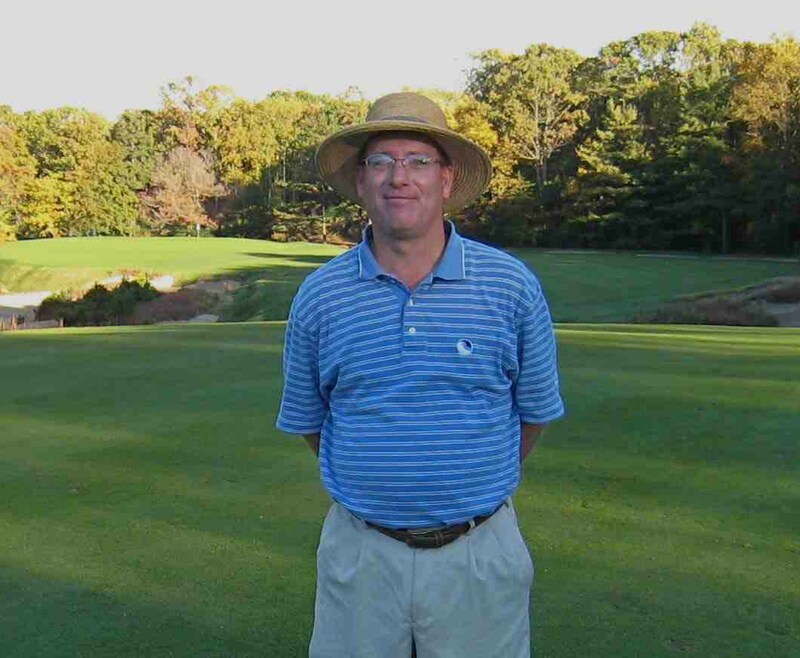 Jim Sykes has earned his place in Philadelphia golf history. I can’t wipe the grin off my face this morning. Yesterday, 11 weeks and a day since undergoing left hip replacement surgery on July 31, I played my first full 18-hole round. Ah, the marvels of modern medicine. My score (87) was irrelevant. What matters is that I felt great, I had no pain and I could make a decent pass at the ball, including the necessary but worrisome rotation of the hips. On top of all that, it was an perfect fall day and the company was excellent: Jeff Silverman, golf writer and a veteran of double- hip-replacement himself 11 years ago, who advised and counseled me throughout my own hip odyssey. Until now, I had only played two nine-hole rounds and hit balls a few times. I went to the range on the eight-week anniversary of the surgery, but after a a bucket, I realized I was pushing it. I waited another week and tried again. It was a little better, but I still feared asking my new titanium hip to do more than it was ready for. This healing business takes time. Two weeks ago, 10 weeks after going under the knife, I went out for my first nine holes with one of my regular golf buddies, Tim Black. It went well, and my swing felt good, but I was pooped after nine and ready to call it a day. I played my second nine one day last week, when I looked up my computer and realized it was another clear, crisp fall afternoon. I jumped up and headed to the course. That also went well, but again, nine holes was all I was ready for. Yesterday, I was determined to go the full 18, and I’m glad I did. I got tired toward the end and I limped a little the last few holes, but that was okay. Another 18-hole round is in my near future. I write this to share my own progress, obviously, but I also write to encourage anyone else who might be hobbling around on a bad hip or knee, potentially facing the same decision Jeff and I faced. Joint replacement surgery and the weeks of recovery are no joy ride, that’s for sure. But the alternative is living in constant pain, and living a very restricted life. I’m glad I did. Faced with the same circumstance, I’d do it again. Slowly but surely, I’m getting my life back. Way to Joe! Glad your hip is to the point you are back out on the course! Congratulations!!! Planning a winter trip to AZ? Let me know. 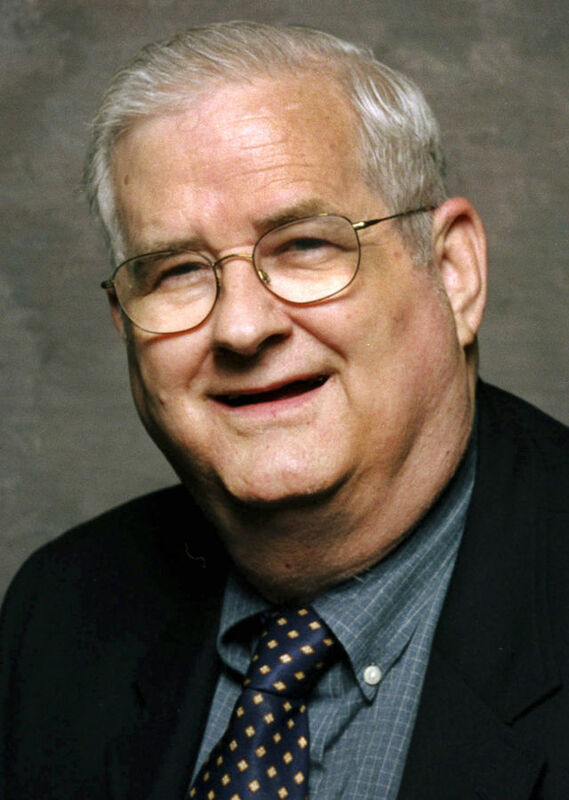 If you’re a fan of college football, you might have read today that Beano Cook, the great ESPN pigskin prognosticator, has moved on to the hereafter. NYTimes obit. Video: The Wit and Wisdom of Beano Cook. Once upon a time, before he was famous, I knew Beano Cook and used to spend hours with him on the phone. 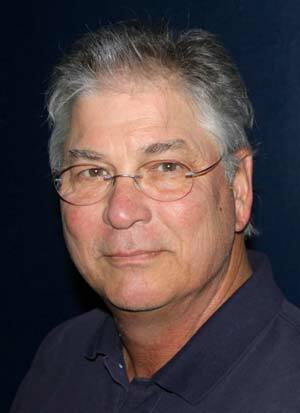 It was 30-plus years ago, when I was a reporter at the Minneapolis StarTribune, writing, among other things, a weekly column on sports media. Back in those days, Beano was the PR guy for ABC Sports in New York, when Monday Night Football was in its heyday and Keith Jackson was dominant voice of college football. Beano and I would talk at least once a week and oftentimes, two or three times a week. What I remember most about those conversations is that we’d quickly discuss the business at hand – i.e., whatever or whoever ABC was promoting – then we’d spend 30 minutes gabbing and gossiping about everything from the sports departments at the other networks, to what athletes or sportscasters were jerks, to movies, to politics, to comedy. Beano was so funny and so acerbic, with a New York sense of everything, and it was like getting a one-man performance from Don Rickles. He knew everything about college football. I used to say, "Beano, why don’t they put you on TV?" Up to that point, Beano was a voice on the other end of the phone. I got my answer when I finally saw a photo him. As smart, quick-witted and lovable as Beano was, he was not the network’s idea of hunky sports talent. He looked like a middle-aged, balding man and a paunch, who likely took the subway to work. Of course, ESPN eventually became part of the ABC/Disney empire and somebody in power there realized that Beano’s mug be damned, he was a real talent. They put him on TV and he had a great, long run. Meanwhile, every time his mug popped up on my TV screen, I’d think back to our wonderful phone conversations.